This is our motto at LD Consulting. Dan Olson is president of LD Consulting. Dan, his associates, and executive advisory group have years of experience and are passionate about law enforcement inspections / audit training and consulting. In 1999 Dan was assigned to supervise a large metropolitan police department law enforcement inspections unit. During his assignment, Dan identified a need for inspections and audit training, specifically for sworn and non-sworn law enforcement professionals. 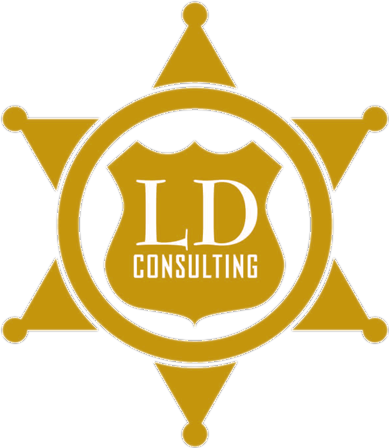 As a result, Dan and his staff, developed an Introduction to Law Enforcement Auditing Course specifically for law enforcement professionals. The training was developed in terms and concepts familiar to law enforcement professionals and relevant to current law enforcement issues. In cooperation with the International Law Enforcement Auditors Association (ILEAA) we taught our first course in 2008. Our objective has always been; to train law enforcement professionals in auditing and inspections techniques that have been successfully used to, satisfy accreditation requirements; Reduce law enforcement liability, crime statistics, operational costs, and significantly Improve compliance. Over the years we have trained hundreds of law enforcement professionals from the United States and Canada. In addition to our associates we utilize professionals we have developed relationships with over the years to conduct training and audits/assessments. These individuals have demonstrated their expertise in a number of actual training environments as well as inspections and audit engagements. Dan is a Police Lieutenant with the sixth largest city in the U.S., where he has worked for over 32 years. For eleven years Dan supervised the department’s Inspections Unit. While assigned to that unit he and his staff were responsible for conducting all internal audits and inspections for the police department. He was also responsible for the risk management unit and oversaw the design, implementation and operation of one of the first Early Warning/Intervention Systems. Dan also worked as a Sergeant and Lieutenant in the Professional Standards Bureau Investigation Unit for five years. While assigned there he completed a number of high profile investigations as well as a number of use of force investigations, to include police officer involved shootings. Dan is a founding member of the International Law Enforcement Auditors Association (ILEAA) and served as the president of that organization for two years. Dan is a member in good standing with the International Law Enforcement Auditors Association (ILEAA), the Institute of Internal Auditors (IIA), the International Association of Chiefs of Police (IACP), is a Certified Law Enforcement Auditor (CLEA) and has a Masters degree from Northern Arizona University. Jack Harris began his career with the Phoenix Police Department in 1972. He served for over 39 years rising through the ranks of patrol officer to Police Chief. As the Police Chief he led a department of over 3500 sworn police officers and a support staff of 1100 civilian positions with an annual budget of over half a billion dollars. After retiring he was asked to return as a Deputy City Manager with the title of Public Safety Manager. In this position he continued to serve as Police Chief but took on the added responsibility of leadership of the City of Phoenix Emergency Management team as well as direct oversight of all public safety entities in the City of Phoenix. During his career Jack Harris served in a range of positions and ranks within the police department to include sergeant, lieutenant, commander, assistant police chief, police chief and public safety manager. Assignments included, under cover positions in vice and narcotics, the SWAT team, motorcycle officer, basic training sergeant at the regional police academy, internal affairs and liaison to the Mayor, City Council and the City Manager. In 2011 Jack retired and is currently consulting on a variety of police related issues. Jack is a graduate of Phoenix College, Arizona State University, Ottawa University, the Federal Bureau of Investigations National Academy and the FBI National Executive institute. He has received numerous awards including lifetime achievement awards from the Governor of Arizona and the Fraternal Order of Police and was recently selected to receive the Leadership award for 2012 from the Police Executive Research Forum in Washington, DC. Jack is also a respected instructor on police subjects and has taught a variety of subjects at the local, state, national and international level including teaching new police officers SWAT tactics in Somalia. Gerald P. Richard II, Esq. Mr. Richard recently was a member of the Department of Justice, Institute for Intergovernmental Research After-Action Assessment Team for Ferguson, Missouri. He retired after serving as assistant to the Chief of Police of the Phoenix, Arizona, Police Department. At Phoenix PD he was responsible for overseeing the Phoenix Police Training Academy and the Employment Services Bureau as well as department leadership development and training. He was also responsible for implementing recommendations submitted by the Community Engagement and Outreach Task Force and community advisory boards, overall police and community relations, and legislative issues. He is an experienced litigator, arbitrator, and legal advisor for local, state, federal, community, and faith-based organizations. He has extensive experience serving as adjunct faculty/guest lecturer. He is a member or past member of numerous professional associations, boards, and commissions. He is the pastor of Harbert Chapel A.M.E. Church in Flagstaff, Arizona. Erin J. Kenney is the Departmental Audit Manager for the Los Angeles Fire and Police Pension Fund with over $14 billion in assets. Prior to joining the Fund in 2010, Erin was the the Acting Commanding Officer of the Los Angeles Police Department’s award-winning Audit Division and was responsible for leading the unit beyond a federal Consent Decree and to international recognition for best practices in police auditing and training. Erin is a recipient of the American Society for Public Administration’s Henry Reining Award; a past President of the International Law Enforcement Auditors Association; an active member of the Institute of Internal Auditors, the Association of Public Pension Fund Auditors, the Association of Certified Fraud Examiners; and serves on the Association of Local Government Auditors’ Peer Review Committee. A certified instructor for the California Peace Officer Standards and Training Robert Presley Institute of Criminal Investigation, she has developed and continues to conduct police auditing training to both sworn law enforcement and civilian audit professionals. Erin obtained a Bachelors Degree in Political Science from the University of Southern California. She lives in the Hollywood Hills with her husband, Mickey. Joe Epps is President of Epps Forensic Consulting PLLC. He has over 33 years experience in forensic accounting and litigation support. He has worked on multi-million dollar cases including commercial insurance claims, and anti-trust, intellectual property and contract litigation assignments. He has testified for Plaintiffs and Defendants on many occasions. He has also served as an Appraiser and Umpire in insurance claims disputes and has served as an Arbitrator for the American Arbitration Association. He has testified as an expert witness in Federal and State courts in Michigan, Ohio, Indiana, Illinois, New Mexico, Wisconsin and Arizona. Joe has a BA in Business and Accounting from California State University, San Bernardino, and a Master of Education from the University of Phoenix. He is a Faculty Associate, at the School of Accountancy, at Arizona State University. He is on the Faculty of NACVA Forensic Accounting Academy and is Chairman ASCPA Financial & Litigation Services (FLS) Committee. Terry has thirty-nine years of policing experience in Ontario, Canada and recently retired at the rank of Superintendent. He has worked for the Ottawa Police Service, Nepean Police Service and Metro Toronto Police Service. He has held progressive assignments in community policing, operational command, corporate and operational planning, professional standards, policy development, criminal investigation assignments and served as Executive Officer to the Chief of Police for three years. He has been assigned intermittently to audit and quality assurance duties since 1995, and has been assigned full time responsibility for quality assurance in the Ottawa Police Service since 2004. He is a past member and Co-Chair of the Quality Assurance in Law Enforcement Committee (QALEC) for the Canadian Association of Chiefs of Police, has served on several Ontario Association of Chiefs of Police Committees since 2001, and was a founding member of ILEAA. Terry has a Bachelor of Arts, (Law), from Carleton University a Master of Business Administration, (Distinction) from the University of Liverpool, along with a number of additional certificates and diplomas related to law enforcement management. Please contact Dan Olson at Dan@www.ldconsultingllc.com or call 602-510-8481 to determine how we may assist you.